At first glance, live chat seems like a neat and swift tool that helps you with routine customer support tasks. However, many business still haven’t unlocked the potential of live chats, for example, their proactive approach. In general, customer support tools are differentiated into reactive and proactive types. For example, email and phone calls are reactive – you only start engaging with customers after they have reached out to you. Live chat is proactive, since you’re able to view a user’s activity on a website and engage with them right away. With live chat software, you have the upper hand and can offer help to your customers if you feel it’s necessary. In addition, there are many other great benefits of adding live chat to your website. If you have a website with good traffic then live chat software is probably the only tool that will give you a good ROI measured in minutes rather than weeks or months. If you set your live chat to capture emails or other basic information, then you will steadily build up a great set of leads to follow up with. Most live chat software just involves a small piece of code that needs to be added to your site, and boom, you’re ready to go. Training new staff members just got easier thanks to live chat. With canned responses and the ability to supervise and monitor chat sessions, you can onboard new members quickly, easily and with minimum risk. With live chat, you can used canned responses to solve most problems which means you’ll never have to fluff your lines ever again. You can be sure that your team is providing your customers fast, consistent replies to the most common questions. To some extent, the web is smoke and mirrors. With live chat, you can start departments like sales, billing or support to pre-filter customers enquiries so that you look bigger than you actually are. Maybe you can’t answer a customer’s question right way. No problem, just push the chat through your helpdesk and create a ticket so you can answer their question when you have free time. 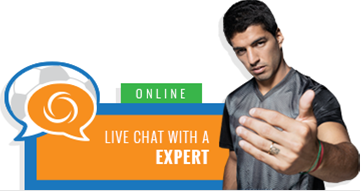 With live chat, you can review transcripts of recent chat sessions to discover common issues. This enables you to either improve your products or service or create better support materials or improve your site if customers are having the same issue. No need to ask people to say their name again, usernames or URLs. With live chat, it’s all there right in front of your eyes. If you are interested in live chat, please contact us today!